Hey lovely's ... Welcome to my linky! Its been a mad week here in the crafty household. My baby sister has gone from Miss to Mrs and of course i ended up blubbering myself silly. I couldn't help it though, i was a very proud big sister (and she looked so beautiful it made my eyes water lol). We've also been trying to get everything ready for going back to school next week. Its been a really quick summer and I'm gonna miss all the extra time I've had with Agent M but at the same time it will be nice to get some order back to the house. Anyways, the linky is live for all you creative people out there to showcase your favourite craft or recipe posts. I've also set up a Make it Monday board on pinterest so I'll be adding your posts there for everyone to share. Once it becomes a bit more established, i will start to have a featured make each week but since its early days i thought i would take it one step at a time. Link up maximum TWO posts - They can be old or new. Please don't just link up your blog home page. Comment on the 'Host' post and at least 2 others, though more if you have the time. Its all about sharing the love here. When commenting use the tag #MIMLinky so that they know where you found them. 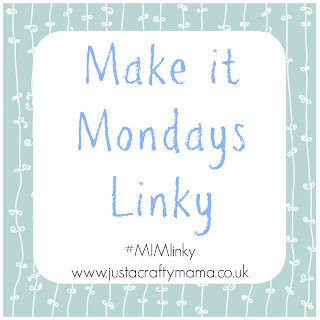 Add the "Make it Mondays" badge to your linked post so that others can find the linky and join in. 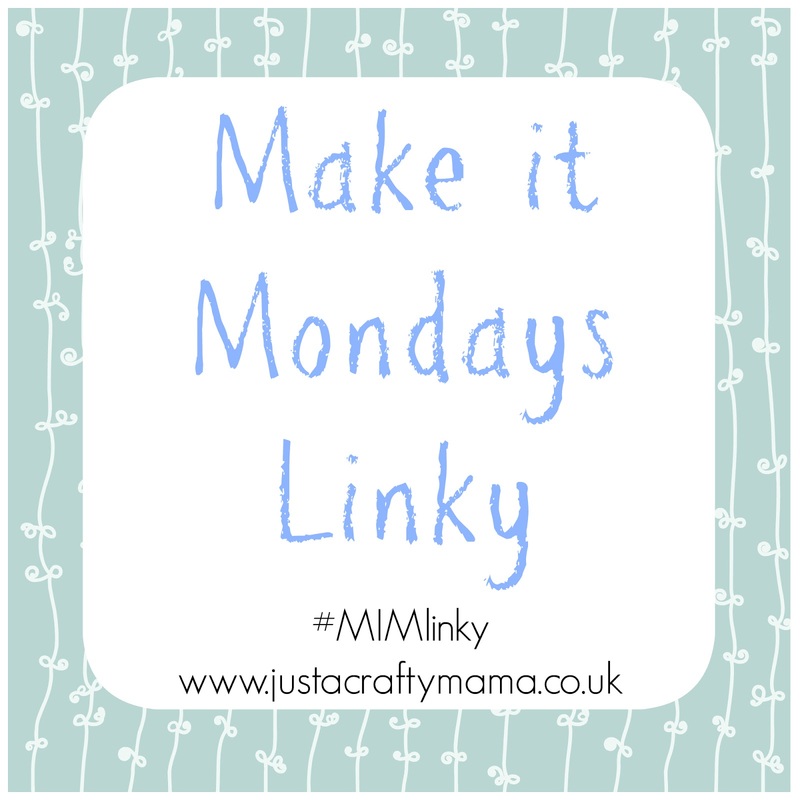 Feel free to tweet your post(s) along with the hashtag #MIMlinky and mention @justacraftymama so i can retweet for you.